Rub T-Fal fondue pot with garlic, and discard clove. Over medium heat, bring white wine to a simmer in a heavy saucepan. In a bowl, toss grated cheese with cornstarch and nutmeg. Stir cheese mixture into wine with wooden spoon until melted and thickened, about 3 to 5 minutes. Remove from heat and stir in Kirsch or brandy. 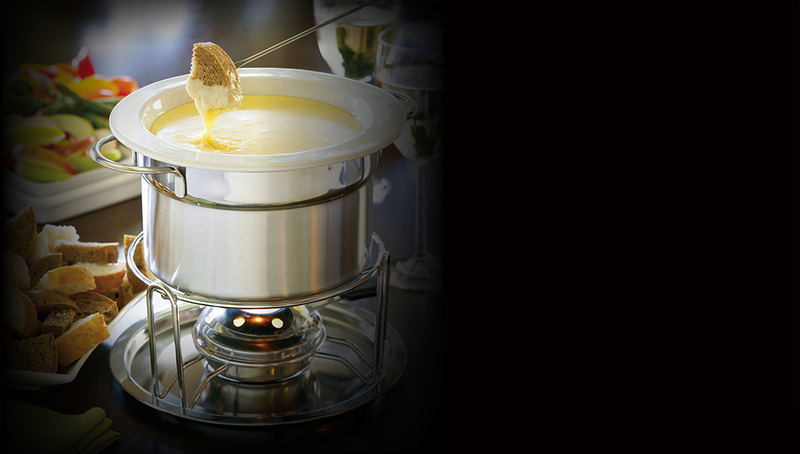 Pour fondue into T-Fal fondue pot and keep warm over medium heat.